The Mens TRK Skarvan Mid STX Boot from Vaude is a waterproof trekking boot that are sure to leave a smaller carbon footprint thanks to eco-friendly materials. The seamless sock-like construction (50% recycled material) ensures a high degree of comfort and an optimal fit throughout the entire shaft. The durable leather upper ensures a perfect fit and optimal support. This high quality Terracare leather comes from Germany and is manufactured in accordance with the most stringent environmental standards. 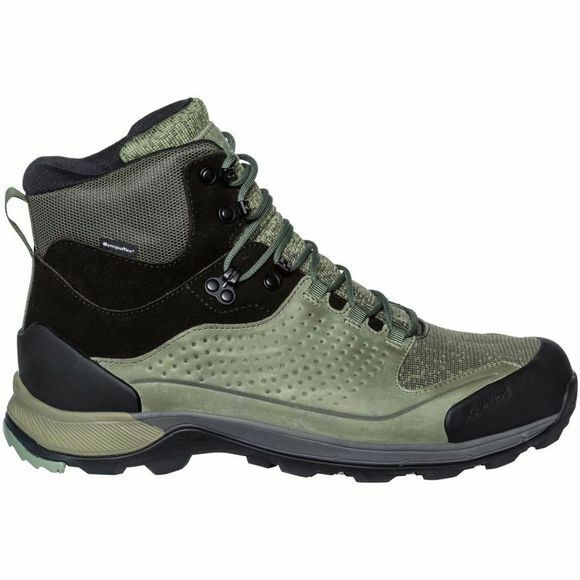 Thanks to the environmentally friendly Sympatex membrane (made from 100% recycled materials and completely PFC-free), this mid-cut trekking boot is absolutely waterproof and breathable. 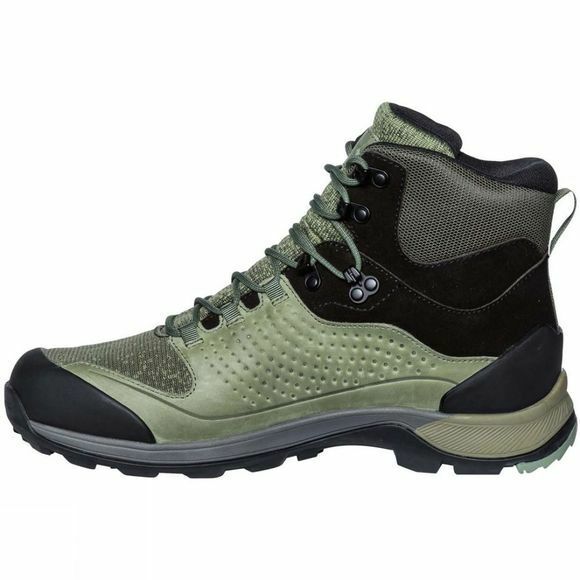 The stiff, high traction outsole (V-FLEX 6) provides sure footing and best support on unsecured, rough terrain even when carrying heavy loads.